When you need a trustworthy renovation and interior design firm to complete your bath renovation in Aurora, let The Kitchen Master team help you. Since 1977, The Kitchen Master has been creating original bath renovations with modern design for homeowners in Aurora and all over Illinois that enhance their everyday use of their spaces. 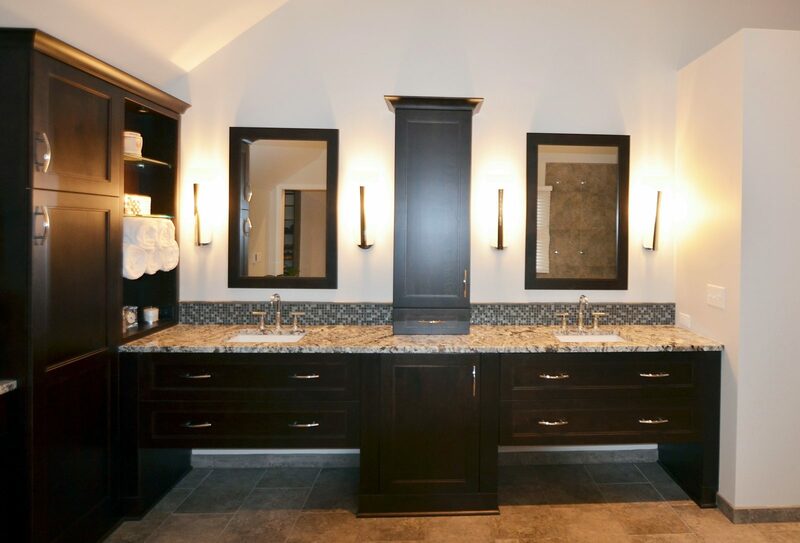 We can complete everything needed for a custom remodeled bath, including countertop and cabinet installation, as well as cabinet refacing. The Kitchen Master team stays up-to-date on the latest bath remodeling and design trends, which help us develop a one-of-a-kind remodel for the clients we work with. The Kitchen Master team is dedicated to building the bath you’ve always imagined. To get an idea of what you have in mind for your space, we’ll listen to your renovation goals for both style and structure. Our team of award-winning designers will then create a customized plan specific to the way you and your family use the space—all while staying within your budget. Your satisfaction is our top priority, so we’ll stay on the job until it is completed exactly as we promised you. The Kitchen Master can also complete renovation work for other rooms in your home, such as kitchens and other rooms, like laundry rooms. To see examples of our work any time, simply visit our state of the art, 4,000-square-foot showroom, or check out our online gallery. For more about our remodeling services for the 60502 or 60504 area, or to schedule a free consultation, contact The Kitchen Master team.